Again, this year has a slew of new offerings, including a variety of new styles, colors, shapes and materials to choose from. Your hands only touch one thing on the club. Make sure your grips are right for you. Probably the most unsung and underrated component, the grip is actually the most important feature of any club. Your hands are the only connection you have with the club, so you must play with the right grips. Considering the grip is the only area that connects you with the golf club, not to mention with the golf ball for the matter, it’s a wonder so many golfers overlook this critical component. Despite all the technology in the clubhead and shaft, it's the grip that's really come a long way. Grips have certainly come a long way. In fact, the new grips for __ð07 are more colorful and more functional than ever, thanks mostly to a handful of new material innovations that double as a fashion statement and a competitive advantage. Several models include multi-density rubbers and polymers that lend comfort, strength and tackiness where it’s needed most. Also, they’ve gotten a lot more durable and hold up better in the rain. Check out what’s new, and don’t hesitate when it comes time to put them on all your clubs. It’s a must-do every season. 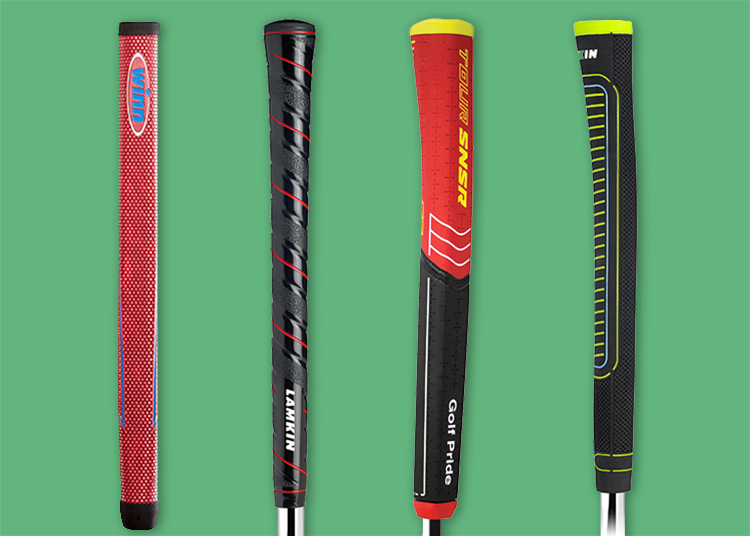 As is the case with all categories of golf equipment, new materials and technologies have vastly improved the quality and feel of modern grips, and there now are a number of cord-style grips that feel as soft as velvet models, but with the added tack cord provides. For golfers with sensitive hands, or who simply prefer a soft feel, a buffed, velvet-style grip still is the top choice.